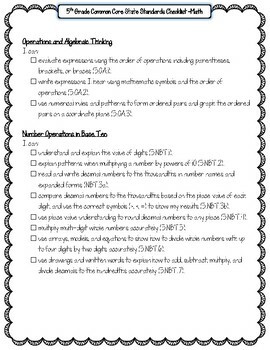 I have my students keep this checklist in their “To Keep” section in their math binders. 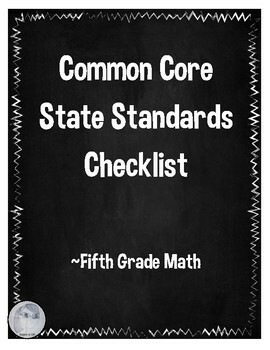 After we complete each chapter we go through the checklist together and checkoff all of the standards we’ve completed. At the end of the school year, we go through the whole list again to make sure all of them were covered. 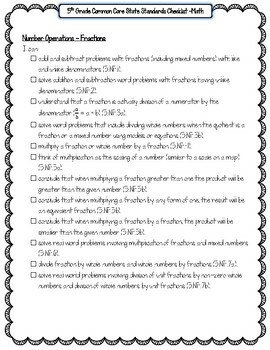 This is not only great for me as a teacher to make sure we are covering all of the standards, but it’s also wonderful for parents to monitor their child’s learning. It’s a win-win!